Is there anything you can do to make sure that your business idea is the right one? This is a common question raised by many start-up entrepreneurs. It is hard to determine at the onset whether your entrepreneurial path leads to success or downright failure. One thing is true, though: there is nothing certain about business. To identify the unknowns, you can only do two things: simply rely on your gut feeling or do some research and get your facts straight about the business. Before you pump you life savings into your small business, you want to know if it has the chance to succeed. One of the first steps in examining your business idea is to get to know more about your market. If you have an idea for a business but you’re not sure whether a market for it exists or is big enough to support your business, you’re getting ahead of yourself. Market evaluation is critical and provides the basic data that will determine if and where you can successfully sell your product or service. This process involves defining your goals, scrutinizing your competition and your customer base, and interviewing potential suppliers. The goal is to gather information to determine in advance who might buy the product or service and what they might be willing to pay for it. Even if you are reasonably sure that a market exists, you need to know a good deal about the shape and size of the market in order to forecast your chances for success. The information collected can help you, if necessary, adapt your product or service to better meet customer needs. Identify your differential advantage, i.e., what makes your business different from similar businesses with similar products. Who are your customers? Will their identity affect where you need to be? For example, if teenagers are your customers, you may need to be near schools or universities. Where are they located? How can you reach your customers? Which marketing options will reach the most number of customers at the lowest cost? Can the customer afford the service or product? How much are they willing to pay for your product or service? How many competitors provide the same service or product? Have you also considered those that aren’t direct competitors but who might nevertheless compete against you? There are several kinds of qualitative and quantitative market research tools available, depending on the nature of the study. You may just want for a general indication of the acceptability of your product concept, so a focus group discussion may be the way to go for you. A focus group is a moderated discussion of a specific target segment. If you are planning to launch a new line of cosmetics, for example, one focus group may be composed of women in their 30s where questions on their buying habits and preferences may be raised. Focus groups, and other qualitative researches, only provide directional trends and may not be statistically reliable. These studies are used best if you want to have a “subjective” feel for the topic. Quantitative studies, on the other hand, normally produce information that can be numerically tabulated. Primarily, the large number of people who are questioned distinguishes it from qualitative studies. To obtain at least a 95 percent accuracy rate, you need to have at least 100 respondents who are randomly selected. The higher your sample size, the greater is your accuracy rate. Needless to say, quantitative studies are significantly more expensive than qualitative studies. 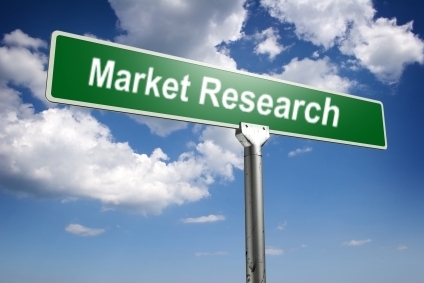 Do not view market research as a one-time activity. Once you establish your business, you should continually be in touch with your customers. You may have to adapt your product/service and/or marketing strategy to keep up with your customers’ changing needs.